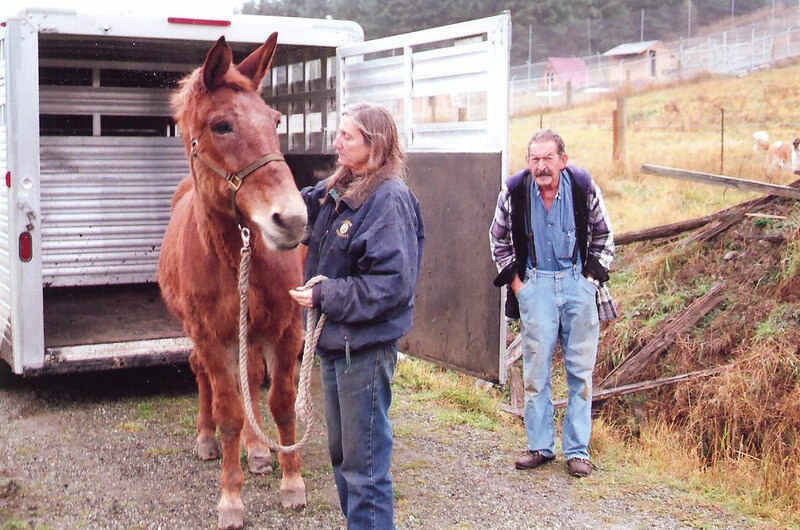 In early September of this year, Precious Life Animal Sanctuary received a phone call from an employee at Olympic National Park who is in charge of their Pack Mule Program. As Olympic National Park and other national parks can't use mechanized equipment to maintain roads, trails, fallen trees, etc., they strictly use pack mules that are ridden and carry supplies. The employee went on to say, “We work them pretty hard” for thirty years. After that they wear out and we make an effort to find a sanctuary where they can live out the last ten years of their life. None of the sanctuaries they called in Washington would take the three mules ready for retirement. Sadly, in some instances they have been given to a private party where they are not retired for their remaining years. 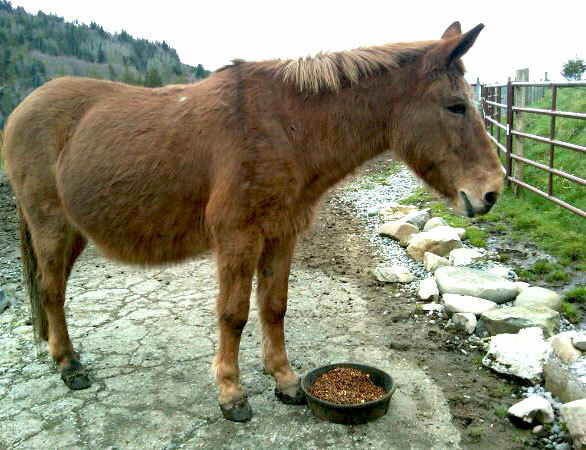 Precious Life Animal Sanctuary agreed to take Andrew, a thirty year-old in the most need due to his nervousness and a slight limp. He had worked at the park for 23 years as a pack mule. Over this period of time, the park employee became attached to "Drewsey" and wanted the best for him. On a fog-laden, rainy day in October, he was brought to the sanctuary and stepped out of the trailer to experience Mule Heaven on Earth. Andrew will never again have anything man-made on his back, and is totally free from any human wants or needs. For the first time in his life, he is free to roam independently with plenty to eat. He will have proper shelter this winter and receive lots of affection. His only challenge is to fit in with our two rescued wild mustangs. Even though they are only half his size, they totally dominate him. The adjustment will take some time for this gentle giant.